Want more bang for your buck on social media? I’m sick of people getting robbed on it, and then called wrong or negative when they get frustrated. It’s not you. It’s them. Here are 3 sneaky methods the top marketers are using to work-around the BS of Facebook and other social platforms. 1. Make your goal hacking Facebook’s algorithm and user engagement. Just a shift in the goal can improve your results. Does your social strategy even acknowledge the existence of the Facebook Algorithm? Did you know Facebook is picking and choosing which of your posts your fans and friends see in their feed? It is! You need to be mindful of this as you develop a social strategy. Just how does Facebook determine what reaches more people? Well most of it is a trade secret of some algorithm but we know for a fact that if a fan regularly likes your posts, they’ll be shown more of them. The like button is used as an indicator of engagement, and you’ll want to use that to your advantage. To put it simply, you’ll want to broaden out your social strategy to increase the number of times your fans / followers like your posts, to ensure that the most of them will see your more commercial messages without the need to pay to reach them all. This means you’ll have to work harder to organically reach all of your hard earned followers. This means creating more posts and posting more often. How do you do this in the most effective way? Don’t worry – it’s not that tricky. That brings us point number two. 2. You need to add a sense of humor, and life aspirations to your brand identity. This requires careful thought and consideration at first. You must determine the type of humor and shared aspirations that align with the spirit of your brand as well as with your target market. Get this wrong and they’ll tune out. Get this right and you can boost clicks, purchases and loyalty. Adding a sense of humor, defining the funny side of the brand character, opens you up to volumes of content to share that is easy to get a hold of, once you’ve defined it. Is your brand family friendly funny or gritty and rugged like George Carlin? Does your brand swear? These things matter in this day and age and are essential to the brand identity. Don’t leave this to some intern to determine. The same is true with aspirations. Is your brand about advocating for a life of luxury, or simpler pleasures? Think about this. The creative fodder it opens you up to is instant mountains of shareable content. If you’re the source for all those hilarious memes, images, gifs, and videos, your fans are likely to pay even more attention. And speaking of mountains of shareable content- you ever wonder where all these brands are getting it from? 3. The top marketers are farming the most viral content from the alt web. The alt what? The alt web. The alt web is a collection of online communities that have a different vision and mission than social media. It values truth, wit, and humor above all else, and in a quest to compete for upvotes that symbolize connection, validation, agreement, and applause, the alt web produces a great majority of the humorous and poignant content on the web. I’m talking about sites like 4chan, reddit, tumblr, imgur, etc. All of these social networks make up the alt web and a majority of top votes in the social feeds. You can find a list in our Dark Arts Guide to Social Media but basically, this is where top marketers are looking here to get their posts, ideas and inspiration. They’re mostly stealing it from the funniest parts of the web. All of those memes, gifs and videos. ALL OF THEM – come from the alt web. Use it! Grab the posts that align with your brand and share them with your fans. This will increase the volume and regularity of likes which as previously mentioned increases your reach for commercial messages. 4. Posting native content like images and video first, links last. The top social marketers know that the algorithm favors native content. Maybe you know this too, but I doubt you know the impact of this truth nugget in terms of numbers. If you just share a link on Facebook, facebook generates a thumbnail and your post looks pretty right? But how many people does it reach organically? VERY FEW. If you were to boost a post of just a link to a blog article on your site with a little bit of text added on – for $5 – how many people would see it? Maybe 1.25x as many people, if that, depending on the post. Most people do this. Facebook knows this and makes a killing on this, yet the reach is abysmally low. Say however, if you were to create a post, upload the featured image, (the main image for the article or content), as a photo, and add the link last, how many clicks would you get? I’ll let you guess. Not 5x, not even 10x. In our tests, on average, by posting/uploading the featured image of an article first, you’d get 17x AS MANY VIEWS! That’s 17x MORE than the PAID boost! Because the Facebook Algorithm was designed to heavily favor natively uploaded content like images and videos over links to other spots on the web. This makes sense because they want users to stay on Facebook – which conflicts with your desire to have them visit your site and engage them there. 5. BONUS – The best and most effective marketers pros aren’t using buffer or hootsuite in the same way you are.- make sure you’re marketing team isn’t making this final mistake. if you’re using sites like buffer or hootsuite to post commercial posts for you you’re wasting your money and time. Facebook devalues these sources of link regurgitation, and limits the reach of these posts. So while you thought you automated your social marketing efforts, you really just automated your posts into Facebook’s trashcan. Buffer and hootsuite are great for sharing the viral content from the alt web. You can use the scheduling apps to do all the hard reach building activities for you. So they’ll share the funny memes and posts, and this frees you up to post your content, natively using the FB app, and the method previously described to maximize your reach. YOU’RE WELCOME! Stop doing it the wrong way. Start playing to win! If you’re done playing by Facebook’s rules and ready to learn how to really hack the system to your benefit, and your ACTUAL BUSINESS GOALS (YOU KNOW MAKING MONEY, BUILDING YOUR EMAIL DATABASE, INCREASING TRAFFIC, THE ORIGINAL REASON YOU STARTED A SOCIAL PRESENCE) Check out our Dark Arts Guide to Social Media. In that guide you’ll learn the apps, hacks, tactics and strategies to get you quickly, effectively on top of your social media game and away from the BS sandwich of wasted marketing dollars. 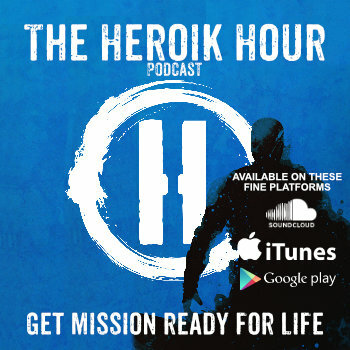 EXTRA BONUS – IF YOU WANT A KILLER DISCOUNT on the Dark Arts Guide – Check out Episode 11 of The Heroik Hour Podcast and you can save up to 50% if you pay attention!